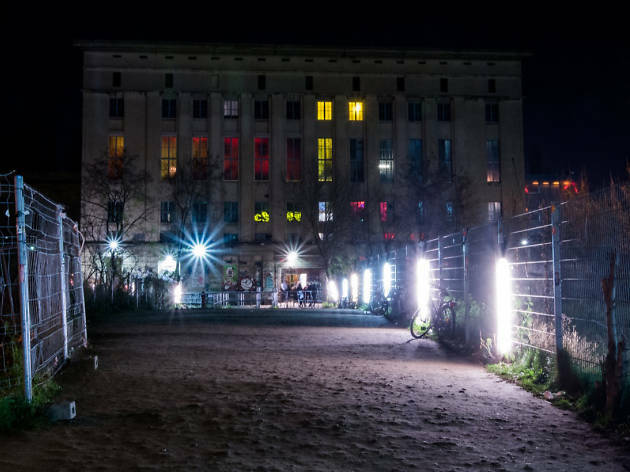 Easily the city’s most famous club and arguably the best club in the world, Berghain is not just a techno club: it’s a way of life for many of the tireless regulars who call it ‘church’. Housed within an imposing former power station, it emerged from the ashes of a legendary gay predecessor, Ostgut, that fell victim to the city’s massive infrastructure projects. Even ‘non-club’ people will be intoxicated by the open atmosphere, liberal attitudes, eccentric characters, the carefully preserved industrial fabric of the building and, of course, the gargantuan sound system. The club’s reputation for a difficult and random door policy is not entirely undeserved: doorman Sven looms large all night with a seemingly random selection policy (you’ll recognize him from the facial tattoos). We recommend that you be calm, sober and respectful in the queue, and it goes without saying that drunken stags aren’t welcome. Open from Friday night is Panorama Bar, accessed up a flight of stairs from Berghain: this smaller dance floor plays old-school house and has walls decorated with art work by Wolfgang Tillmans. 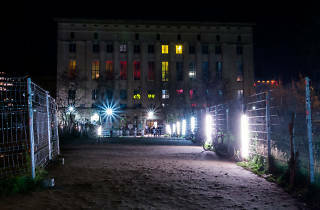 Berghain, complete with darkrooms, is open from Saturday midnights until well into Monday morning.